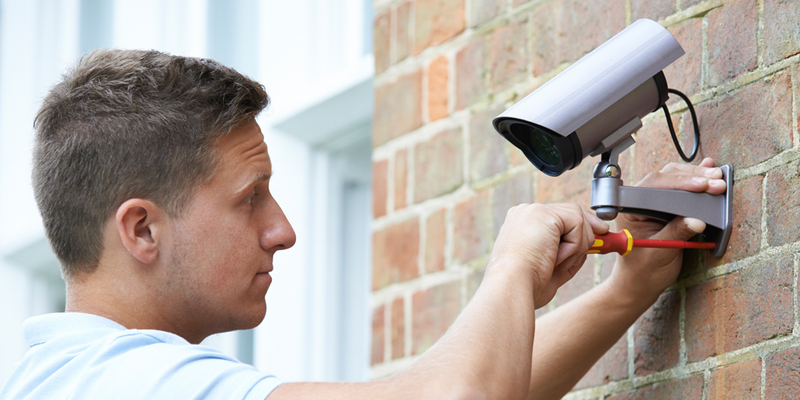 Most people think that buying a security camera gives you unparalleled protection from criminal activity. And with new items consistently hitting the market with amazing features, you would think that the protection is getting greater and greater. Is that true? Do they put you at any risk? What are the laws that concern your recordings? 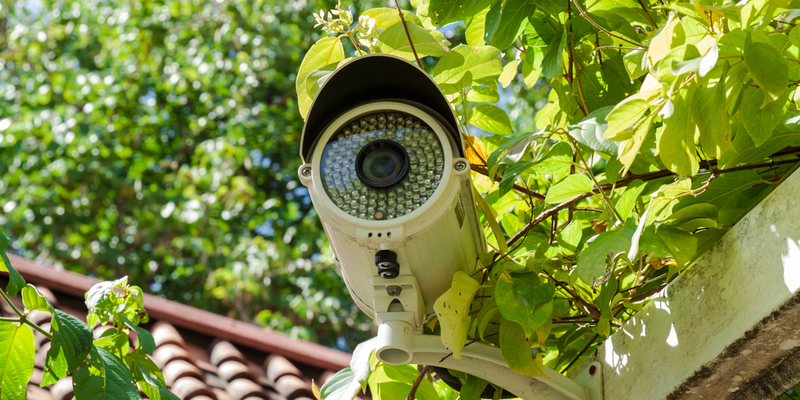 Does it matter whether you have a monitored system or a DIY surveillance system? There are some things that every person should know before they go out and buy their very own security camera. You need to know what you can use them for. Can you hide them? Where can you put them? Before you jump on the “technology is the panacea” bandwagon, stop and make sure you know the facts. I would encourage you to look at the specific laws of your area, as location and time may influence your current regulations. You may live in an area where the general rules do not apply because laws are more strict, but the laws may also be less restrictive. Whether you are a private citizen hoping to make their home safer, or a business owner looking to protect their livelihood, don’t let your surveillance put you at risk. This information should not be taken as legal advice. The information given is not specific enough to apply clearly to each individual’s case. If you have a specific question, contact a local attorney. Where you put your camera is incredibly important. If you have it facing the wrong way, or in an unimportant area, it provides no real protection. But there are some places that you are not allowed to film. 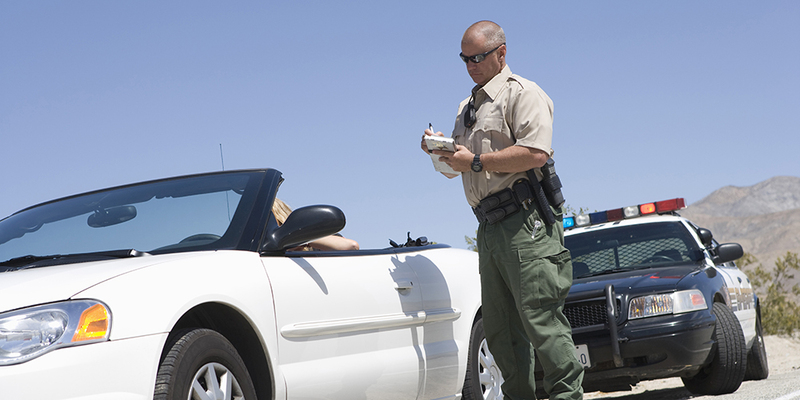 These restrictions may be common sense, but it is a good introduction to the law. Perhaps these ideas are a holdover from our puritanical founders, but they seem like fair restrictions to me. The common thread is that if you are taking off any clothing, there should not be a camera. When it comes to installing cameras in other people’s homes, it could technically fall under catching someone with their pants down, but it is more than that. Surveilling other people’s property begins to violate privacy more intimately. If you own a business, it could be said that people are in public, and have an understandable awareness of the lack of privacy. Rooms, where people find themselves in various states of undress, are always going to be a blind spot for cameras. This does create a potential risk for your security. People who are visiting your store could potentially be committing crimes in the sanctuary of a dressing room, locker room, or restroom. However, if a burglar starts to undress in your home, they are not afforded the same comfort of privacy. You will never be able to know what is happening in these rooms remotely, but you can use cameras outside of the entrances to create a timeline. If you have seen a person take your inventory, and then go into one of these camera free spaces, and then exit without it, there is the suggestion of a crime. It is, however, important that you do not point the outside cameras head on at the entrance/exit. There should be no angle where you can see into one of these areas with a camera. Such footage would create more issues for you then it would remedy. In general, it is legal to film areas that are viewable to the public. Google uses this precedent to photograph their 360-degree street view for Google Maps. This means, that in general, you can point a camera that is on your property, at your neighbor’s. I do not recommend this, as it may escalate whatever issue has caused you to believe that surveilling them is necessary. Sometimes the wrong thing is not always illegal. If you are the one with cameras trained on their property then I would suggest first talking to the owner of the camera. If there is no compromise that can be found, you can begin to pursue legal action. I am not one to promote frivolous lawsuits, but posturing that you may take them to court may be enough to get their attention. Federal law only requires that one person must know about the recording taking place. State laws will give you different regulations. Note that all more specific rules will be more prescriptive, as federal law creates a minimum requirement. Being that the minimum is one informed party, there cannot be a state that allows for less. This gives us a baseline for general restrictions. Because one of the involved parties need to be aware of the recording, you are restricted from recording conversations that you are not taking part in. This is because you are not one of the parties that are a part of the private conversation. Even if said conversation is taking place in a public area, if the parties involved can expect privacy, they are protected from audio interlopers. For this same reason, you cannot leave your recorder at a location and use the information as evidence. This is true in almost every case where you have left the audio recorder unattended. This creates certain issues for security cameras like the Nest Cam, which document audio automatically. The way around the illegality of general audio recording rules is to make the parties aware that they are being recorded. This happens most notably when you call up a customer helpline and they say, “This call may be recorded…” Once you have that expression of intent, it is then up to the other concerned party to take action. By making someone aware of the recording their continuation with the conversation is consent (generally). This could then be extrapolated that once you have informed someone in person that the room is being monitored by audio recording, that you have made them aware. At this point, a person could continue their conversation in that surveilled room, or ask to continue the discussion in another room. The federal court has also stipulated that a person does not need to be aware of the recording stating, “The defendant must have the intent to use the illicit recording to commit a tort of crime beyond the act of recording itself”. That means that you can record a person if you do not intend to use the recording for illegal acts. In the words of the court “…the exception to the one-party consent provision of 18 U.S.C. § 2511(2)(d) requires that a communication be intercepted for the purpose of a tortious or criminal act that is independent of the intentional act of recording…” That means that recording is not the illegal act that condemns the illegality of the recording. There must be further intended illegality beyond violating the one-party consent provision. What you need to be on the lookout for is if your recording involves private information that is covered by common law privacy. This could be things such as medical history, like a miscarriage, abortion, etc. Obtaining this information without consent may land you in some hot water. The Fourth Amendment to the United States Constitution protects all citizens from “…unreasonable searches and seizures…” and details the rights of privacy. You might think that something like public security camera footage would count as unreasonable. This is, however, wrong. In the case of Delaware v. Prouse, the Supreme Court ruled that “people are not shorn of all Fourth Amendment protection when they step from their homes onto the public sidewalks”. There has also been no official critique of a camera’s existence infringing on someone’s First Amendment rights. Which is to say that merely having a camera has not been determined by the government to suppress behavior. I am sure that some people reading this would disagree, but there has been no Supreme Court ruling on that side of the issue. They have, in fact, declared the opposite in Laird v. Tatum, where it was found that the government surveillance of anti-war protesters did not hinder the protesters’ freedom of expression. This is a good thing for security camera owners and does give them legal recourse against accusations of civil liberty violations. It is perfectly legal to keep your surveillance equipment functioning while the police are conducting an investigation. You have a constitutional right to document police activity. The First Amendment gives citizens the right to document civil servants as they are performing their civic duties. In the case of Glik v. Cunniffe, it was ruled by the Supreme Court that, “Recording governmental officers engaged in public duties is a form of speech through which private individuals may gather and disseminate information of public concern, including the conduct of law enforcement officers.” So in this way, recordings are a way of exercising your Amendment rights. Officers can ask you to turn recording devices off, and they can ask to have the evidence. However, you are not required to acquiesce to their requests, unless they have a warrant for your property. The only instance, where you may be in violation of the law, is if you are interfering with an investigation. This is often the excuse police use to remove reporters from crime scenes, but if you are simply documenting with a security camera, the structure the camera is on should not be interfering with the investigation. In most cases, you will not need to inform people that you are recording video, but in some cases you may need dual consent to record audio. This is the reason that most security cameras do not have microphones. If you violate dual consent, you are guilty of a felony. The best practice for this is to get the person’s consent to be taped before you begin taping, and then once again as the first order of business when recording begins. Off tape, and on record consent will cover your bases if you are sued for violating wiretap laws. And though it is called “dual consent” you are not asking for one other person’s consent, but the consent of everyone being recorded. Some states have more nuances in their laws, but if your state is on this list, you should investigate further. In some cases, the law is debated, so I would error on the side of dual consent (just to be safe). In order to record employees at work, the employer must have a legitimate reason for recording. The general areas that cannot be monitored in a company building are of course restrooms, locker rooms, and dressing rooms. Furthermore, there may be a restriction in your state about using surveillance equipment in the worker’s break room. Essentially, anywhere that a person should expect privacy, you cannot record. However, any place where an employee can be expected to interact with a customer, can be monitored. For example, if an employee works on the sales floor, they should not expect privacy. Whereas an employee with their own office, most likely would. You will need to use your best judgment, or consult an attorney for specific information. Whatever you choose, for your own protection, you should disclose your use of surveillance equipment to your workers. This will cover your bases for any potential illegal wiretapping charges. The biggest restriction is when it comes to unions. An employer cannot record union activities. They cannot record union meetings or even discussions about union business. And they can most certainly not use surveillance to intimidate members, or prospective members, of the union. When you submit any type of recording to a court of law, the evidence is put on trial. It is up to the recorder of the information to prove that this evidence was not doctored. That means you will have to take everyone through the methodology of the recording, and subsequent transportation of the evidence. This is where the legality of your recording will be tested, as well as the handling of evidence. You must be able to explain how the video was recorded. That means where the camera was, the quality of the camera at certain times of day, how the information was stored, etc. If all of that is above board, then you have to hope that no one dropped the ball getting the evidence to the court. The whereabouts of the recording must be accounted for in order to definitively prove it was not altered. Storage of the footage must be secure in between the times it is not in the court. Any loss of data that happens due to a power surge or data dump will compromise the integrity of your recording. With this information, you should better understand what it is you can do with your security camera. In some cases they might make the perfect addition to your other smart home devices. In others, you might not even be able to use it to record anything. Hopefully, you are not prevented from maximizing your safety, but following the law is often the best way to stay protected. Always consult with a lawyer before taking any action which may harm your legal standing. Also, understand that our laws are constantly changing and adapting to the world we live in. This is only the standard as long as it is upheld. Supreme Court decisions about privacy are becoming more and more frequent as a result of hacking and the rise of social media. I cannot tell you if restrictions are going to get tighter or looser, but it seems to me like we are in a time of great political change. I am uncertain what will happen in the near future. I am not a fortune teller. I am also not a lawyer. This is not legal advice. If you have legal questions or are in need of legal counsel, please consult with an attorney. Please do not violate any laws. And remember that ignorance of the law is no excuse.